I had a problem for way too many years, and that's that I worked way too much and didn't enjoy life nearly enough. One day I realized I was applying for jobs that required me to wear makeup every single day (fashion industry). Oh dear. Don't get me wrong, I liked the way makeup looked and and played with it as a teenager-- but I had no idea where to start doing it properly and felt like I just didn't have time to put effort into that kind of thing. After a few months of begrudgingly getting a makeup routine going (and getting reprimanded by customers and management whenever I got lazy with it), I grew to enjoy it. It became a sort of morning meditation, a morning art-- a time of peace in a very stressful day that echoed throughout the day's activities. It influenced the way people saw me, I could play with different personas, it made me feel confident, it made me feel creative. So I kept going and it became a part of my life I love. Some days I don't wear much, some days I get a little creative-- but I notice when I'm feeling depressed and I do my makeup routine, life gets better. Humans like routine, creativity, moments of meditation and pause-- it makes sense. Lately I've fallen into a routine I really like, so I thought I'd share it. I have a bit more budget now than I did way back when, so don't be shied away if it's out of your range-- many of these products can be found in a variety of brands, and you don't need fancy brushes. All the below products are from MAC Cosmetics. Also keep in mind that this advice applies to masculine looks too! Things like full brows and clean skin look good no matter what look you're going for. I use one brush for lotion-like foundations. I use a primer, then a tinted moisturizer. I put it on my face and a bit on parts of my skin next to my face that are exposed-- neck, chest, maybe a bit on my shoulders. I used to wear concealor a lot, especially on days with not enough sleep (don't be like I was, get sleep). I'd put a little under my eyes, sometimes near my nose too. Then I use a second, more rounded brush for the skin-tone matte powder, covering all parts the lotion touched. Makes my skin feel less greasy. After that I use blush. Make your mouth do a pucker, then see where your cheekbones are and apply it a little under them, more near your ear. Don't go too heavy as you get used to it. I love playing with blush colors-- basically it helps normalize and offset the rest of my makeup. Pink blush goes great with pink lips and brown tones, reddish blush for red lips. I'm going to get a brown blush to complement cooler eyeshadow tones too. I also love using a highlighter-- I just have one light-skin-toned, sparkly highlighter I love. I apply it to the top of my cheekbones, and on days I use a lot I dab it on my forehead, nose, and chin too. This was a revelation to me. A defined brow completely changes the look of my face in a way I really like these days. This palette comes with three colors. I outline the part of my brow closest to the temple with the darkest color and thin brush, then fill it in with the medium color and thicker brush. I use the light color for a highlighter under the brow on days I don't feel like wearing eyeshadow. Another big lesson for me-- if you use a good eyeshadow primer and aren't set on a look that requires defined lines, you don't need eyeliner. These days I put an eyeshadow primer on my lids and only use eyeshadow, no liner. I think I'll get some black liquid liner soon though to try it out and mix things up. I have three brushes-- a rounded one, a flat one, and one with a defined tip. Since I'm not an expert at this, I like getting a palette of colors made to go with each other. 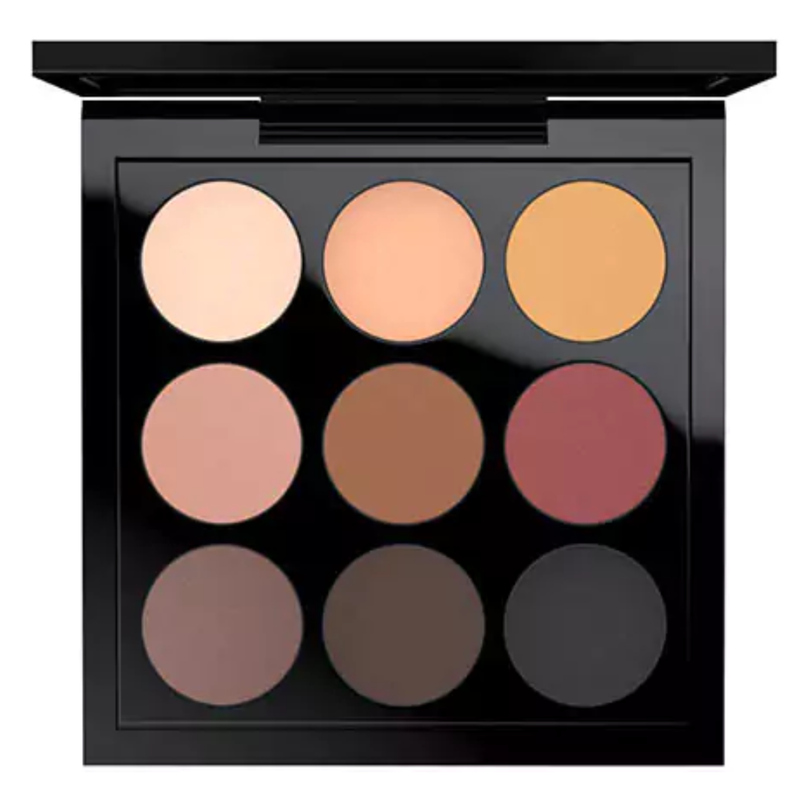 These days I use a lighter color near my eyebrows and the corner of my eyes near my nose with the rounded brush, a neutral color on the lid with the rounded brush, a slightly darker color on the eye crease with the rounded brush, and I use the flat brush to dab some darker color near my lashes. Sometimes I take the defined brush and draw a bold or dark color on the top lid (in place of liner). I absolutely can't have mascara problems during the day, even if it rains, so I always opt for a waterproof or long-lasting brand. The downside of 100% waterproof mascara is it's a little more chunky and not as smooth in application. I love neutral-colored lipsticks, because I really can't reapply and fuss over lipstick during the day. They're easy to apply, if they accidentally wear off on something it's no big deal, and no one can really tell they rubbed off because they're neutral (your lips just happen to look better if they're on). But if I know I'm going to a time-limited event with not a ton of drinking and eating, I'll wear a red lipstick or colored gloss. Lipliner can help a bolder lipstick stay on and look decent in these situations.